With economic, technological and social change creating a perfect storm for organisations and employees alike, 600+ HR leaders gave us their views on the shifting shape of the modern workforce and the future of work. Can HR’s strategies hold the key success in these turbulent times? This year’s HR Realities research, conducted in partnership with UNLEASH (formerly HR Tech World) aims to find out. This downloadable summary infographic highlights the headline results from the 2017-18 HR Realities research. The first report in the series explores the Employee Value Proposition. Is yours fit for the future of work? Find out in the download below. Employee engagement has unequivocally become one of the leading measures of success for HR today. More important than HR having a seat on the board, or being an employer of choice, or even building a strong pipeline. But considering its growing importance, the technology solutions around employee engagement and wellbeing are still in their infancy in HR tech terms. This second report explores this increasingly influential area. Digital and Agile HR, Cloud HCM, the War for Talent, Artificial Intelligence and Deep Learning, GDPR, Employee Experience, Predictive Analytics – the list of critical issues and new trends goes on and on. But what is the truth about Digital HR, Technology & Transformation? Download the presentation revealing the 5 Truths About Digital HR Technology and Transformation based on research of 600+ HR leaders in partnership with UNLEASH, from David Wilson, CEO of Fosway Group. 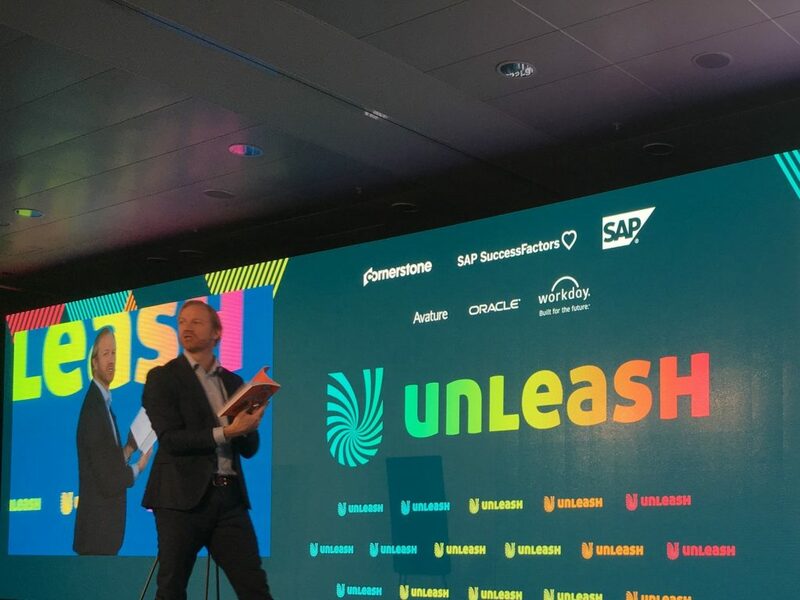 Can the gap between the ideals of UNLEASH keynote speaker, Jonas Kjellberg – co-founder of Skype – and the realities of HR transformation in most organisations be bridged? The talk is all of disruption, but the practicalities of disrupting business as usual means that driving change and truly transforming an organisation is not easy. Here, Fosway’s Head of Content, Kate Graham, explores the truth about digital HR transformation, written for UNLEASH news.